Photo used in 1950’s advertising. 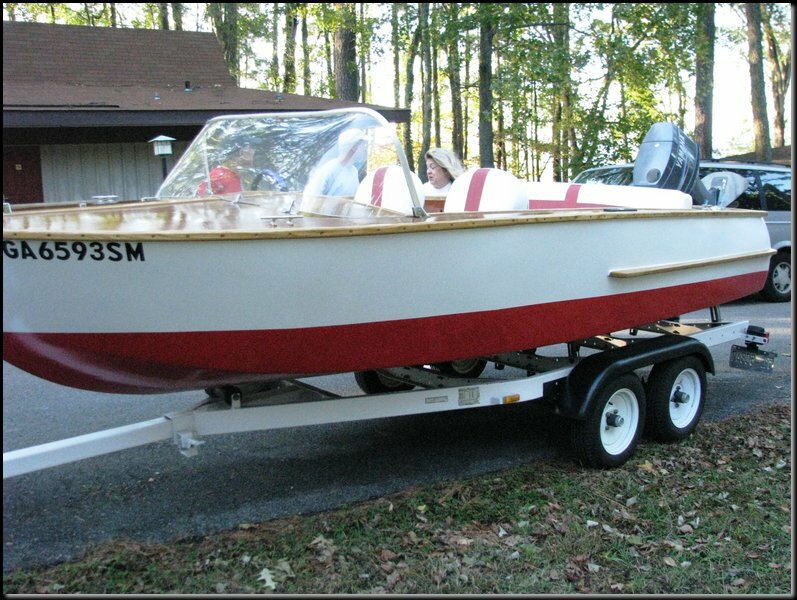 Glen-L has set the standard for boat plans for decades. All of our plans are intended for the amateur. It is not necessary that you have any experience with blueprints. Our plans are easy to read and easy to understand. You can find plans that sell for more but they frequently offer much less. It is unlikely that you will find plan packages as complete as ours at any price. Why are Full Size Patterns so important? 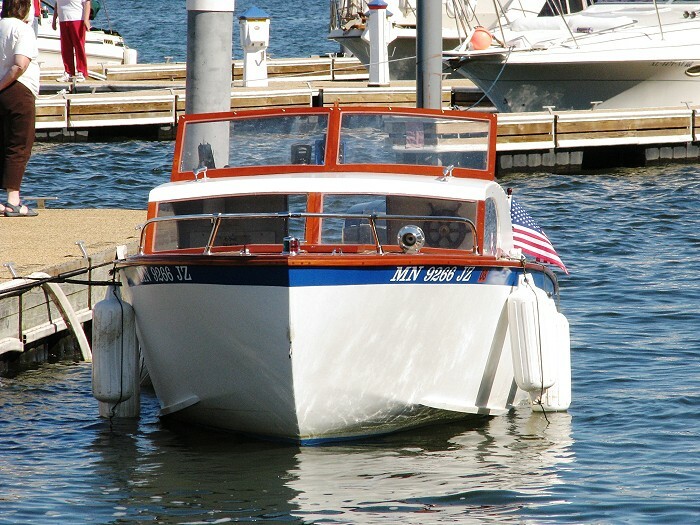 Most novices do not realize that with many boat plans the builder must first “loft”, or actually redraw the lines of the hull to full size before he can even begin construction. Learning to loft from an often confusing list of dimensions (Table of Offsets) is a major project in itself. In addition, there are logistical problems in lofting, unless you happen to have a flat floor virtually as long as the boat for the layout. We at Glen-L decided many years ago that this process alone was enough to discourage most beginners, and set out to find a better way. 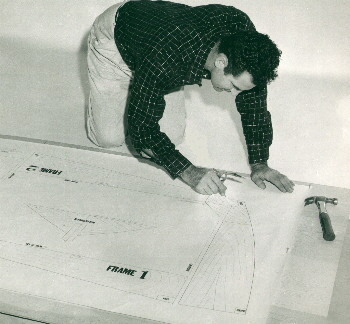 The result was the Glen-L Full Size Pattern system of boat building. In short, we do the lofting, to save you time, effort, and to prevent errors. 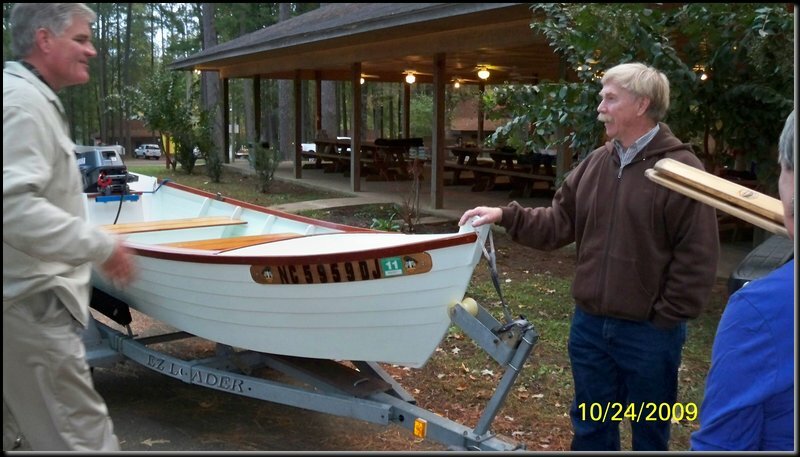 It has taken a lot of time and experimentation to develop our pattern methods, but if you have ever tried to build a boat the “old way”, we know you’ll feel it was worth the effort. Full size patterns are available for most every Glen-L design. As the originator of the pattern systems, we have perfected the methods necessary to insure absolute accuracy so that your Glen-L design can be duplicated just as the designer intended. Which Parts of the Boat Are Patterned? All of our designs (except for one or two that are clearly noted) provide full size patterns for the structural members of the boat. In our online store, if you click on the title or item number of the design in question, it will list specifically which parts are patterned. For most, you’ll get patterns for all of the frames or bulkheads, transom, stem, transom knees, breasthook, etc. The frame patterns will be half-section patterns. Since the frames are the same on both sides of the centerline, we provide one half and the pattern is flipped to draw the other half. Instructions are provided for using the full size patterns and can be seen here as well. 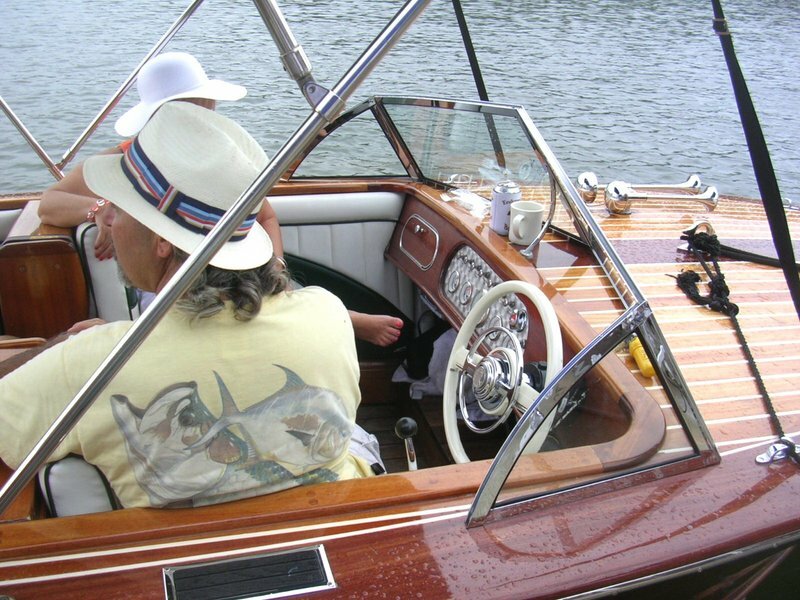 Patterns are not provided for the planking of the boat, unless it’s a Stitch & Glue design which we’ll discuss later. 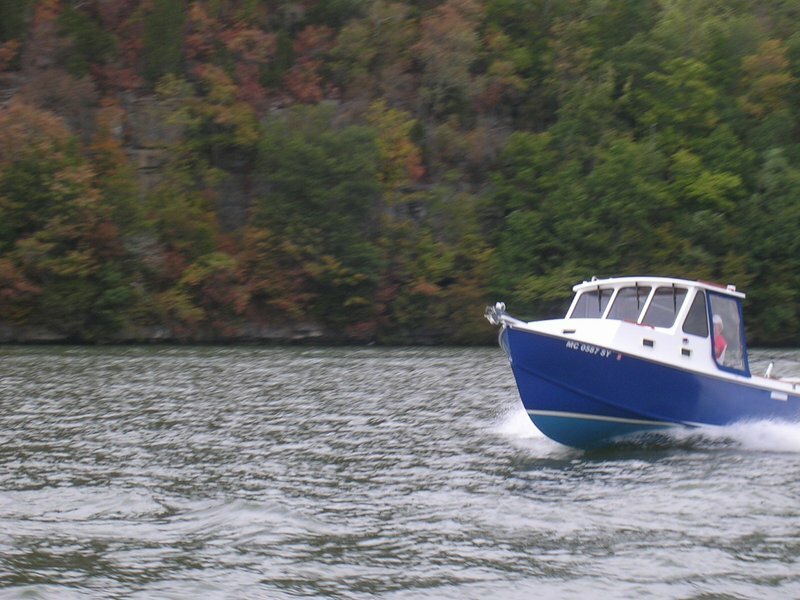 Even if you follow the plans to a tee, each boat will vary making planking patterns worthless. Once you make your frames and set them up on the building form, this becomes the “pattern” for your planking. 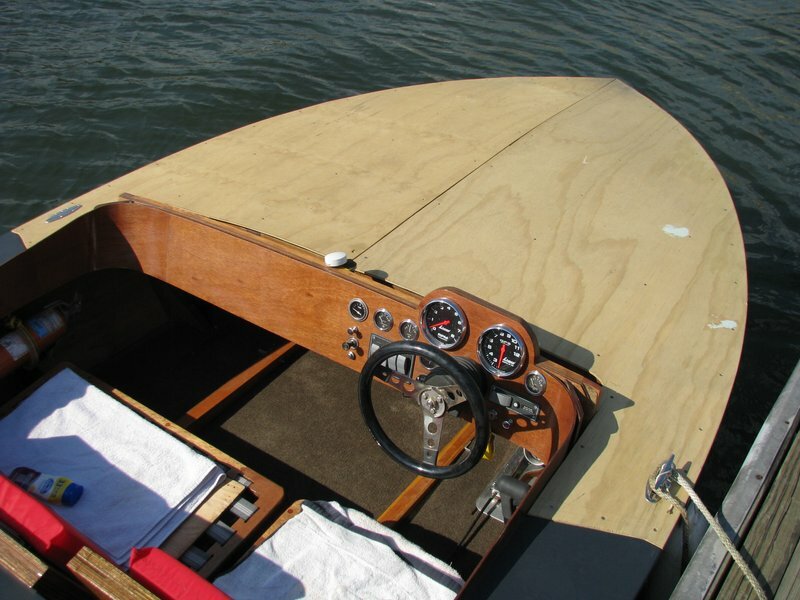 The plywood panels are simply leaned against your boat “skeleton” and then marked to shape. We have a really cool retro slide presentation showing how a boat goes together here that further explains this process. Stitch and Glue designs are a different animal. In addition to patterns for the structural members, we also provide full size patterns for the planking unless noted otherwise. That means that virtually every piece of the boat is patterned which is what makes this method of construction excellent for the first time builder. Full size CABIN PATTERNS are available on selected designs. While all designs with cabins have the necessary information and dimensions to build the cabin, the use of CABIN PATTERNS speeds up and simplifies the layout procedure. These patterns are transferred to the wood using the same procedure as used for Full Size Patterns. If CABIN PATTERNS are not available for the design you are building, it is probably because the nature of the cabin structure is so basic that patterns do not offer much benefit. Several boats have been designed without cabins and CABIN PLANS have later been added in response to builder requests. These plans contain all of the information and dimensions to build the cabin, including instructions. In many cases, the plans will be adaptable to several designs or offer cabin options for a single design. See the description on the design page for specific information. Visit our Online Catalog for more information. All of our plan and pattern packages come with detailed phase-by-phase instructions that walk you through the entire building process. The construction is in sequence but some variation is natural based on the needs of the builder. 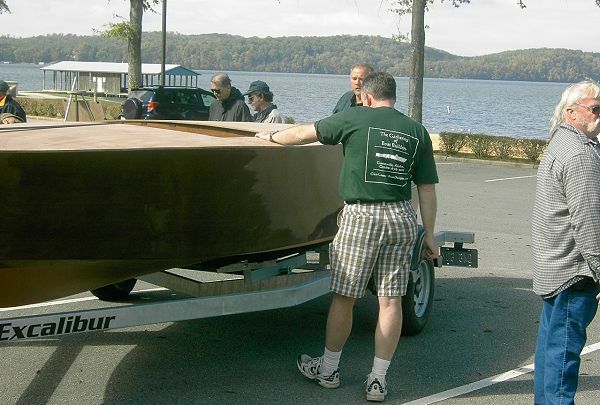 The instructions also provide a bill of materials (also online for each design) that lists the materials needed to build the boat as well as the types of wood recommended. A Fastening Schedule lists what fastenings are used for attaching the various parts together. 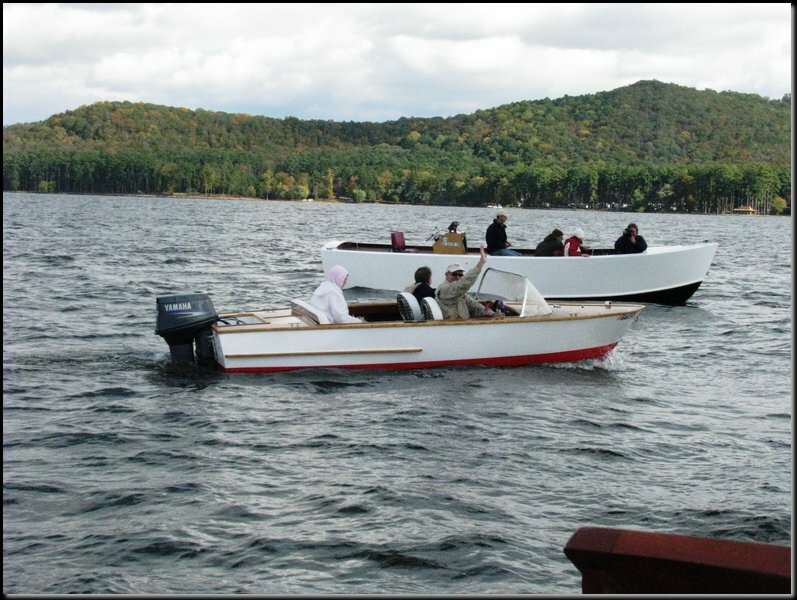 We feel the instructions are quite complete, but if you have questions, we are here to help or you can post your questions on our Boatbuilder Forum that is available 24/7.